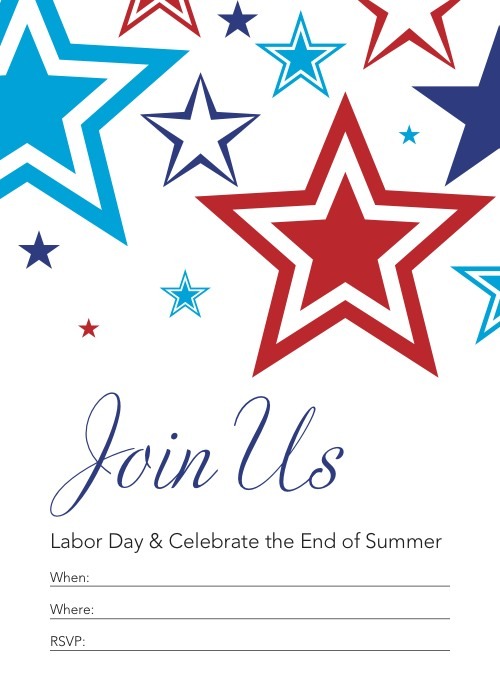 In case you haven’t made any concrete plans yet for Monday or if you’re a super procrastinator like I am – here’s a printable invite you can use to throw together a last minute Labor Day bash. Growing up it was always a big deal to get out of school at the beginning of the week and have a day to play. As I grew older and entered the work force, it was a true blessing to have a extra day off from work to relax. 3 day weekends are the best! and now that I work from home part-time, aside, from being a full-time mommy, I really enjoy the free time my hubby has to spend with us on those holidays. So if you have been trying to decide whether or not to plan a little get together, now it’s even easier. I think most women love any excuse to have friends over, who doesn’t love an excuse to cookout? Grab some paper, print these out and invite a few friends to stop by. After all it is the official end of Summer, so have some fun and enjoy!